My cats think its yummy! 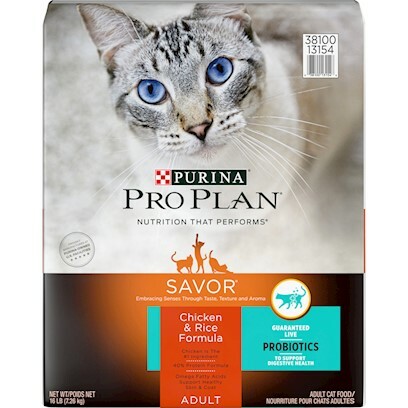 ProPlan Savor is A Homerun with my 2 picky cats! My Ctas gobble it up! Loved by a picky eater! Mittens can eat this w/o getting sick! Our cats love this flavor! Perfect for my cats sensitive tummy! Cats think this is yummy. They LOVE the chicken flavor! All our kitties love it! Savor Adult Chicken & Rice Excellant food!!! !